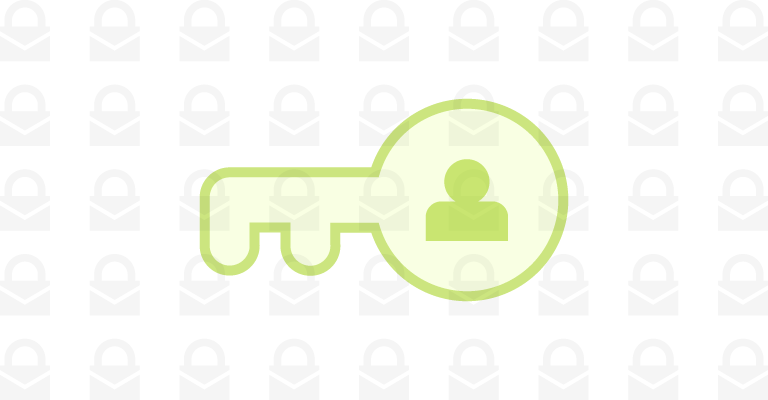 User-friendly encrypted email with no plugins or apps. Simply wrap brackets around the subject in any email client and Bracket handles the rest. Sounds interesting right? Encryption that's secure and easy to use. Don't let Bracket's ease of use fool you. The encryption techniques we employ to secure your email data are state of the art. Bracket is built on a distributed, multi-layer AES256 encryption design with automatic key rotation. This means you never have to wonder if your data is safe. Simply request to sign in using your email address, then click the secure link from your inbox (the same way password resets are handled most of the time). Bracket bakes in extra security so it's actually more secure than password logins. Bracket sign-in links expire 15 minutes after being delivered. In addition, each sign-in link only works once, so you never have to worry about someone rummaging through your inbox and opening old links. As an addional layer of security, sign-in request notifications also include the requesting device IP and approximate location. 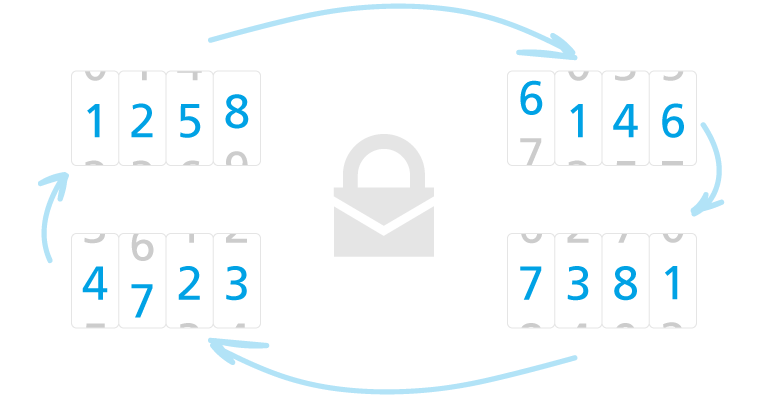 Email encryption is usually constrained to a specific operating system or mail client, but Bracket frees you up to send encrypted email from literally any email client. 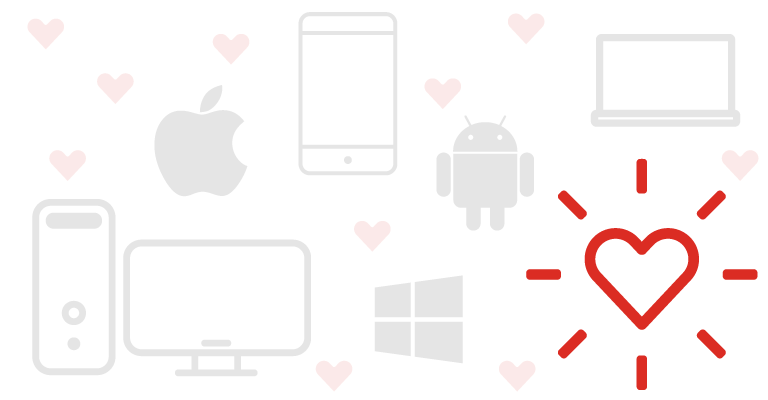 So whether your users prefer iPhone, Android, Windows, Linux, or PC (or maybe they just can't let go of their Blackberry)... it simply doesn't matter with Bracket. Bracket encrypts email better than other solutions while taking the pain out of the user experience at the same time. We think that's pretty amazing. Most encryption solutions rely on downloading and installing numerous apps and plugins depending on where you're sending from, but Bracket takes a different approach. To send an encrypted email with Bracket, just wrap the subject in brackets and send it on its way. It's really that simple. Sensitive data shouldn't default to being kept forever. With Bracket, all data is temporary and there are no mailbox quotas to keep track of. Just send and receive secure messages and go on with your day. By default, messages expire in 1 year, but you can set any message to expire sooner if you wish. 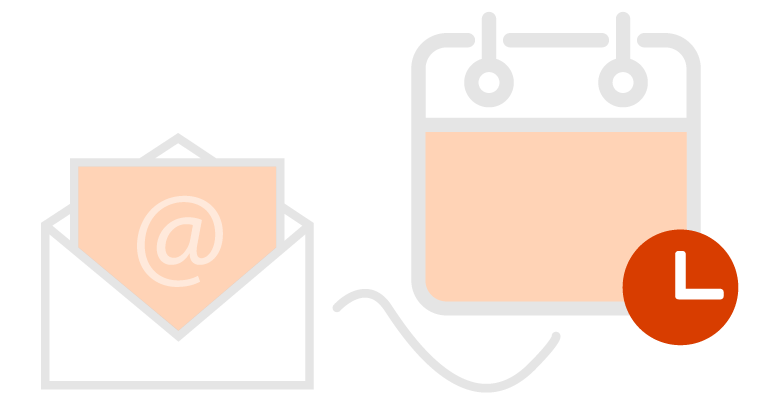 We've also made it easy to securely get your data out of Bracket and back in to the other email systems you use that are designed for retention, discovery, and reporting. Seamless archive integration allows you to automatically have your data securely journaled to an archive. The optional 'Export to Inbox' feature even allows users to instantly and securely transfer the message to their normal email inbox. A personal data key gives you ultimate control of your encrypted message data. When you enable this feature, all of your messages are encrypted in a way which requires the personal data key in order to decrypt the data. And since this key is never stored in Bracket, only you hold the key to reading your messages. You control the key, you control your data. Bracket is thoughtfully designed to make email encryption as easy for our partners to sell as it is for their customers to use. We'd love to show you how easy email encryption can be. Please let us know if you're interested. 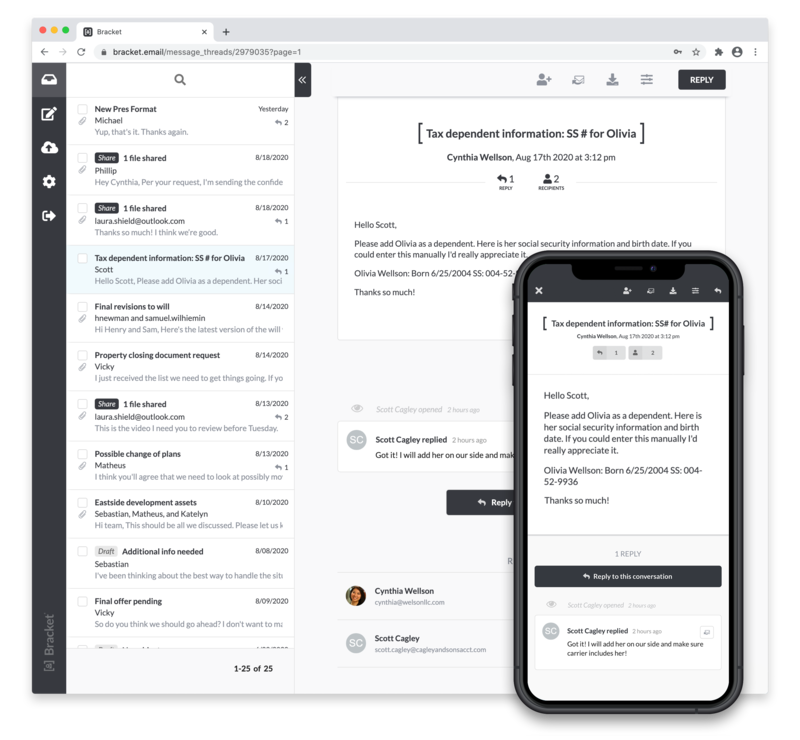 Bracket is just one piece of a fully rounded suite of email products made by Mailprotector and distributed exclusively through the partner reseller channel. 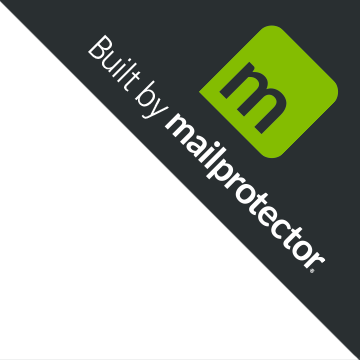 Head over to mailprotector.com or give us a call to partner up with us today.© Mailprotector. All rights reserved. We'll be in touch soon with an invitation to try out Bracket.